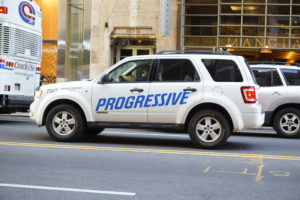 A Pennsylvania U.S. district judge last month rejected nearly all of Progressive’s arguments to dismiss a lawsuit brought by a collision repairer on behalf of scores of first- and third-party customers collectively allegedly short-paid. U.S. Western District of Pennsylvania Judge Kim Gibson only agreed to throw out Professionals Auto Body’s bad-faith claims for third-party claimants and those for which the statute of limitations had expired. He also tossed Professionals’ allegations of tortious interference with its customer relationships, claims which made an interesting if unsuccessful argument different from the “steering” tortious interference accusations in other body shop litigation. Professionals’ litigation on the remaining bad-faith, breach of contract and unjust enrichment (receiving a benefit without paying for it) claims can continue, Gibson ruled, denying Progressive’s motions to dismiss. Professionals Auto Body hasn’t won the potentially $712,972.90 case. But it’s in the hunt, and the ruling sets some important precedents which could help it and other shops in the future. First of all, it reinforces at the federal level that a lawsuit must be viewed in the light most favorable to a plaintiff to survive a motion to dismiss. The Eleventh Circuit Court of Appeals gave even higher credence to this point last fall in smacking down an overly skeptical Middle District of Florida Judge Gregory Presnell, who’d ruled in favor of killing multiple high-profile auto body lawsuits against insurers. As Gibson noted, different rules apply at the motion to dismiss stage than in other aspects of the litigation — Professionals will have to meet a higher evidentiary bar later in the process. The ruling suggests that other Pennsylvania shops — and possibly other national shops — who act as Professionals did and engage in some basic record keeping will at least have a fighting chance in court. However, Gibson ruled Professionals couldn’t sue for bad faith on behalf of third-party claimants — Pennsylvania law prohibits third-party bad faith claims. That’s something the Legislature might want to address, as insurers have less incentive to treat their policyholders’ victims as well as they do their own actual customers. First-party bad-faith claims were certainly assignable in Pennsylvania and most of America, according to a case cited by Gibson. He also disagreed with Progressive’s assertion that it couldn’t be operating in bad faith under Pennsylvania law unless it denied the entire claim. Gibson did rule that both third-party claimants and a shop who’d been assigned their benefits could sue an insurer for breach of contract, even though an insurer has no official contract with the folks their insureds hit. He cited case law holding that determining if a third-party could sue an insurer for breach of contract was a matter for the courts and a Pennsylvania Supreme Court ruling that third-parties had such a right if they met certain conditions. Gibson also ruled that first-party policyholders and third-party claimants (and Professionals on their behalf) could sue Progressive for breach of contract and have it stand a motion to dismiss. Progressive had argued that the body shop didn’t “sufficiently plead the existence of a contract, the terms of the contract that was breached, and damages caused by any breach,” Gibson wrote, summarizing the insurer’s case. Professionals instead held that Progressive was contractually obligated to cover any needed and reasonable repairs to first- and third-party claimants under the terms of the policies it issued customers, according to Gibson. If Progressive didn’t pay, the customers would have to go out-of-pocket to pay Professionals for its work, Gibson summarized the shop’s case. Gibson agreed with Professionals’ argument that the shops had conveyed a benefit upon the insurer by restoring their policyholders’ vehicles to pre-loss condition, thereby allowing the carrier to meet its contractual obligation. “Professionals stated a plausible unjust enrichment claim. Professionals conferred a benefit on Progressive by discharging Progressive’ s obligations to pay for repairs under its policies,” Gibson wrote. “Progressive accepted and retained the benefit because it failed to fully compensate Professionals. Furthermore, it would be unjust for Progressive to retain this benefit. Gibson disagreed with Progressive’s argument that it had an express contract with Professionals, which under Pennsylvania law means no unjust enrichment claims can be pursued. The judge is essentially articulating something along the lines as what industry experts have said: The customer contracts with the shop to fix the car. The customer has through their policy contracted in advance with the insurer to pay for such repairs, should they happen. The shop and insurer don’t actually have any contractual obligation to one another, but each has a separate obligation to the customer, and vice versa. Presnell and Magistrate Judge Thomas Smith saw things differently in the Middle District of Florida cases, but hopefully Gibson’s clear, unequivocal agreement with the shop here will sway his fellow federal colleagues — particularly after the Eleventh Circuit said Presnell had ruled incorrectly in dismissing the shops’ unjust enrichment and quantum meruit (which is similar) claims. Smith and Presnell have argued that as the shops allegedly knew insurers weren’t going to pay what they wanted, they couldn’t take a job, give the unreimbursed benefit for free and then plead quantum meruit to obtain the reimbursement they really wanted. Presnell also split hairs to argue that the insurers didn’t actually receive a benefit as they weren’t obligated to repair the car, merely to pay for the cost of the work. As we noted above, Professionals had made an interesting point regarding tortious interference, and perhaps a shop in a different state with different law would have better luck arguing it. Progressive “failing and/or refusing to pay for all reasonable and necessary repairs” and having “attempted to direct Plaintiff to utilize inferior parts and/or to perform inferior service” would have prevented the body shop from making good on its contract with the customer. However, he did point out that what Professionals had described sounded a lot like an allegation of an insurer trying to short-pay someone, which is a nice little consolation prize for shops and customers, we suppose. “The facts alleged in the Amended Complaint do not give rise to a reasonable inference that Progressive specifically intended to interfere with Professionals’ contracts with its customers; rather, they give rise to a reasonable inference that Progressive sought to underpay Professionals for the repairs that Professionals performed on covered vehicles,” Gibson wrote. Professionals seeks $130,575.16 that Progressive’s alleged “interference in its business” cost the body shop, “together with the delay time costs of $550,236.13, together with the administrative costs of $32,161.61 for a total amount of no less than $712,972.90.” It also said it’s open to anything else the court wants to award, including punitive damages.